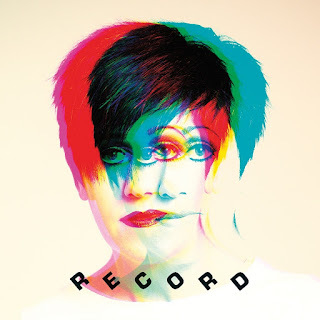 I don't know if Tracey Thorn's career arc from Marine Girls, to Everything But The Girl, to solo pop albums, and now to disco diva is logical in any abstract sense, but the quality of the songs on her recently released Record suggest that disco is, if not inevitable, very welcome. Consisting of nine songs, including dancefloor thumpers like "Queen" and "Guitar", bubbling funk of "Sister", and the hazy brooding of "Smoke" and "Go", the album boast an impressive range. My favorites run towards the dance-oriented songs, but your tastes might lead you to the others. The lyrical content focuses on autobiographical musings and social observations about the role of women with goals and ambition, underscoring the artist's intelligence as well as her musical talents. The result is an album with a brain, a heart, and the engine room to move your body. The production is polished and playful, and Thorn's voice is still a commanding instrument. You can stream the album at various digital sources, or at the Soundcloud link below. Record is out now via Merge Records.